The Messiah has risen. Yes he is alive from the dead. And word has been sent out to His disciples and that they should go to Galilee and there they will see the risen Christ. Off they go [the eleven of them] to the mountain to which Jesus had directed them. Finally the moment had come for him to ascend to the Father. What would he say? Are these the words they expected to hear? I don’t know what the disciples expected to hear. But what am sure of, is that what Jesus said, had a huge of impact not only to the lives of the 11 disciples but also to all those who would ever follow Christ. What was Jesus central mission on earth? Jesus’ mission was His Father’s mission and the mission was to save his people from their sins (Matt. 1:21). For this to happen first and foremost Jesus had to die to bear the curse and burden and punishment of his people, and second the good news of salvation (the gospel) had to be preached to all peoples because the Father’s love is global (Matt. 8:11-12; 4:42) and salvation comes through hearing and believing in the gospel word (John 3:16). But now that Jesus was returning to the Father, He had to ensure that God’s mission to draw peoples from all nations to himself was accomplished. Just as the Father had sent the Son (Jesus) so was Jesus to send out His disciples (then and now) to make disciples of all nations (Matt. 28:18-20; John 20:21). And that is what the risen Christ was calling His disciples to. 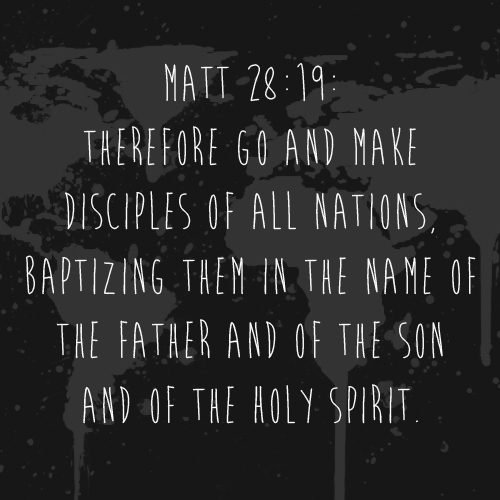 This is what came to be known as the great commission. Looking at the book of Acts, it’s evident that the 11 disciples didn’t just listen to Jesus’ command but actually went forth to preach the good news from Jerusalem, to the uttermost parts of the earth. They did not just “go and tell” but they “went, told and made disciples”. Is the great commission only about going out to another country? No, it’s more than that. But sadly unlike the 11 disciples some of us today over-emphasise “the going”. “The commission is not fundamentally about mission out there somewhere else in another country. What is the essential goal of the church? The goal of the church is making disciples. Simply defined a disciple is a pupil or, if you like, a student and follower of another person and/or his teachings. The disciple does not only learn, but also meditates and acts upon the teachings. As Christians we are Jesus’ pupils. Discipleship is personal. And discipleship is a process. It’s not as instant as coffee or as quick as sending and receiving money via M-Pesa. Discipleship calls for commitment and hard work. When Jesus called the disciples, he taught them, nurtured them, mentored them, prayed for them and walked the talk. And part of following him was to be made into fishers of men. Therefore the church should make disciples who make other disciples. What’s the simplest to do between a) discipling and b) going to out to preach the gospel? discipleship has got to be deliberate and there must be a plan on how to do it. Enough said. I couldn’t agree more. Discipleship is hard work but doable. What is required to make disciples? To make disciples, you have got to have disciple makers. Disciple makers are Christians who have already been discipled. This doesn’t mean that they have attained perfection and are no longer disciples. Until one goes to be with Christ (whether by being called home or when Christ returns) one remains His disciple. The 11 were not anywhere near perfect. Nonetheless they had already gone through the “Jesus Discipleship School” – particularly in those crucial 40 days between His resurrection and ascension when Jesus opened their eyes to see Him and His Kingdom in all the Scriptures and sent them out to preach that message (Luke 24:44-49; Acts 1:2-3). Jesus knew that it would not be easy, all through. The disciples were to encounter a number of challenges and face death daily. But Jesus did not leave them helpless. He promised that he would be with them to end of the age. He gave them what they needed for the task ahead of them. He gave them his Word (Luke 24:44-46), his Holy Spirit (Luke 24:49) and more so His grace (Luke 24:36). So by God’s strength, the 11 disciples (and Paul) made disciples that made disciples. Consequently, as we see throughout the book of Acts, multiplication resulted and many followed Christ not just as disciples but as workers making more disciples. As we seek to make disciples, it’s worth underling this point that making disciples is by grace and that as disciplers we are directing people to Christ. To begin with it is by grace that we become Disciples of Christ (saved by grace); it is by grace that we remain his disciples and follow Him (sustained by grace); and it is by grace that we serve Christ. When we keep that in mind, we will disciple others in humility; we will be patient with them as they grow in Christ to maturity; we will rebuke them in love when necessary. Most importantly, in discipleship we point or direct people to Christ. By all means the discipler must be a good example for others to learn from (imitating them as they follow and imitate Christ). But it is Jesus that all should follow and become like. Everything that the disciple does has to be done in light of the Christ’s gospel. 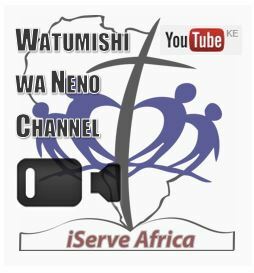 At iServe Africa we are passionate about Christ’s mission and his command to make disciples. And ours is not just a passion. But we are in active pursuit of the same. 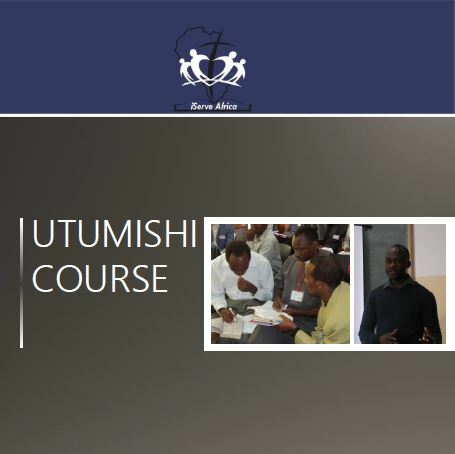 Every year we seek to make disciple-making disciples, through our apprenticeship programme. We train, mentor and equip young men and women, and send them out to make disciples. It’s not the very easiest thing to do. Even so Jesus’ promise to be with us to the end of age is always of encouragement to us.